Europe’s top stars are back in action this week as the continent’s leading club competition returns for its 25th season. 28 teams from 18 countries start on the road to the Cologne and VELUX EHF FINAL4 from the evening of Thursday, 14 September 2017 as the first round of the Group Phase throws off. First out of the blocks will be teams from Groups C and D with the opening matches to be played in Switzerland and Ukraine. Last season’s first-time winners, start the season in Group A where they will meet seven teams including the eight-time champions from FC Barcelona Lassa, the German league winners, Rhein-Neckar Löwen, and one of the surprise packages of last season, HBC Nantes. 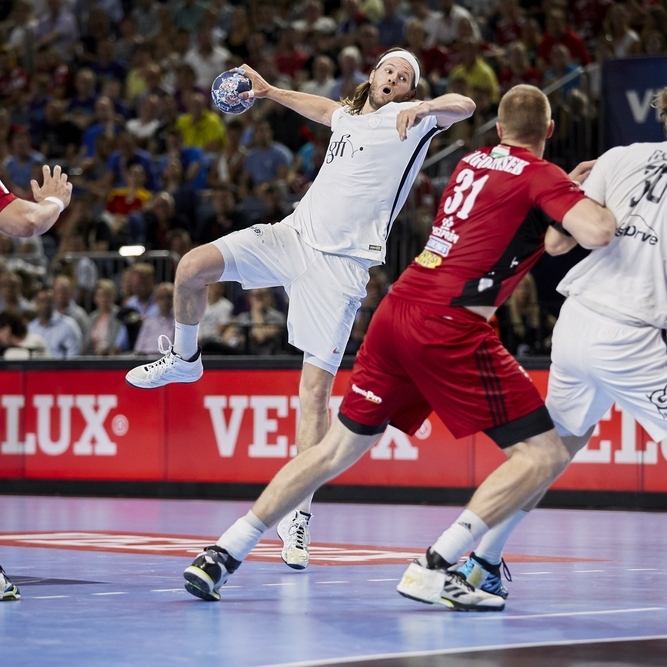 In Group B, the challenge is no less daunting with four previous winners of the EHF Champions League competing alongside last season’s semi-finalists, Telekom Veszprém HC, and finalists, Paris Saint-Germain Handball. In Groups C/D, Montpellier HB will be looking for a repeat of last season’s successful campaign when they progressed to the quarter-finals. We also see the welcome return of four clubs to the competition including Abanca Ademar Leon, Skjern Handbold, Rk Gorenje Velenje and Sporting Lisbon. The 2017/18 season is the 25th anniversary of the EHF Champions League. Following the foundation of the EHF in 1991, the federation took over the running of the European Champions Cup, and a new competition - the EHF Champions League - was born, played for the first time in 1993/94. The EHF Champions League has gone through many changes over the years, including the introduction of new playing formats such as the EHF FINAL4 events, major improvements in the marketing, promotion and TV production of the competitions and also, more recently, new forms of technology in the game. ‘25 years EHF Champions League’ through the special hashtag ‘#25yearsCL’ will be theme across the season as the EHF looks back on a quarter of a century of development and progress in Europe’s top club competitions. The upcoming season will see a record number of TV stations covering the competition. 38 TV partners will cover the initial stages, with the number set to increase once the competition reaches the knock-out stages. TV coverage will be available in more than 80 territories and worldwide via the EHF’s own dedicated OTT platform, ehfTV.com. Here viewers can watch matches, features and clips from the VELUX EHF Champions League and Women’s EHF Champions League as well as other top leagues. Ahead of the new season, EHF Marketing GmbH has also announced that the cooperation with Digi Sport and Telekom Sport in Romania has been extended as has the deal with TV3 Catalunya. There are also new agreements with MySports for the Swiss market and additional markets outside of Europe including Argentina (DeporTV) and Uruguay (Vera TV). The start of the season brings a new development with a fresh look and feel for the competition’s official website, ehfCL.com. Now mobile responsive, the new website offers all the latest news and results from both the men’s and women’s competitions as well as features including comprehensive live statistics thanks to a new agreement with Sportradar, the global leader in data and digital content. Title sponsor of the VELUX EHF Champions League, the VELUX Group, will continue into the new season with the development of its ‘Let’s Play’ initiative, a programme which has already provided hundreds of youth teams across Europe with free handball equipment – more information at www.veluxhandball.com. New regional premium sponsors will join the competition from the start of the season, including Gorenje, one of the leading European home appliance manufacturers, and also Cashback World. These new companies will join long-standing sponsor, the UNIQA Group, in the sponsor line-up and will receive extensive TV exposure through on-court advertising as well as corporate hospitality, tickets and on-site activation opportunities throughout the season and at the VELUX EHF FINAL4. The list of official partners for the coming season has also be extended with existing partners SELECT (official ball supplier), Salming (official sports outfitter) and Gerflor (official flooring supplier) will be extended with Plan International to become charity partner and Sportradar, the official streaming and data partner of the EHF club competitions.